I am Certified Positive this 2014!! I have written a post about life-changing gift ideas to give as gifts for the Christmas Season last month. And guess what?! 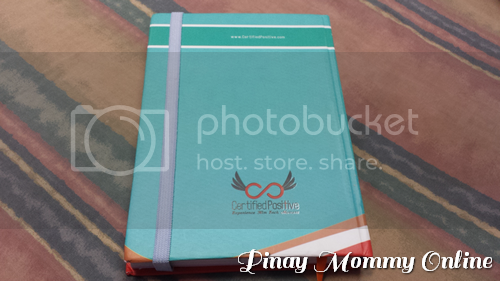 I am so blessed to receive one of the items I have listed there – the Certified Positive 2014 Planner! Hoorah!! 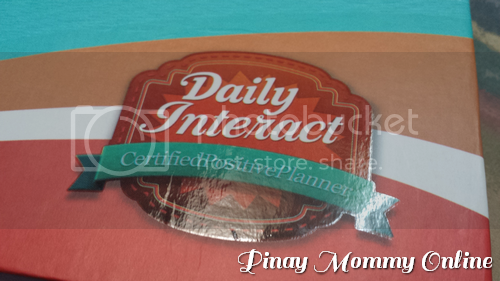 So right now, I am going to share with you why this planner is life-changing as we scrutinize the pages bit by bit. To start off, let us go to the front cover! 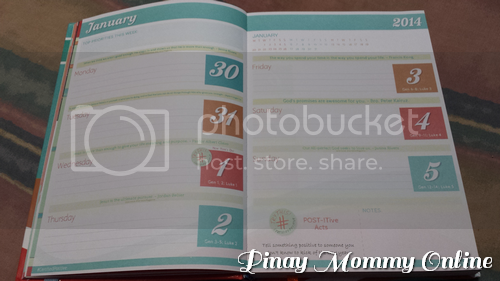 The planner has a hardbound cover, thus, it is very sturdy. Aside from that, the colors are cool to the eyes and has a universal appeal. Meaning, a fashionable student as well as a business professional can both use them. At the back, you can see that it has a garter strap to keep it close. You cannot see it at the front side since the garter is fastened inside the front cover giving it a clean look and feel. Now, let us go inside! A planner is not complete without having to put your name on it right? (Obviously, what am I talking here!) And the Certified Positive Team really did a good job of putting up a very bright and welcoming page to write in your name on! As you go inside, you will notice a lot of positive points that will help you organize your year and with your walk with God. One of those is the Daily Verse Tracker. 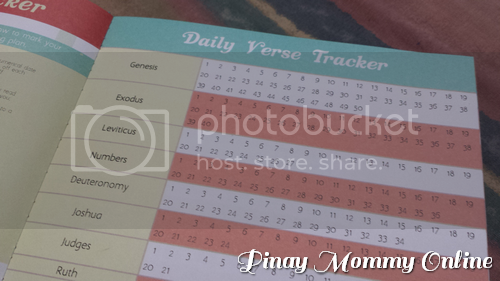 You can track your Bible reading all throughout the year. You can easily encircle them as you finish the chapters of each book in the Bible. You will also find a page inside for you to write your short, medium and long term goals. You can write them with the description of what the goal is about and target date to achieve it. And then, you will see a calendar view for each month. This will give you an overview of all the events you have planned at that specific month. 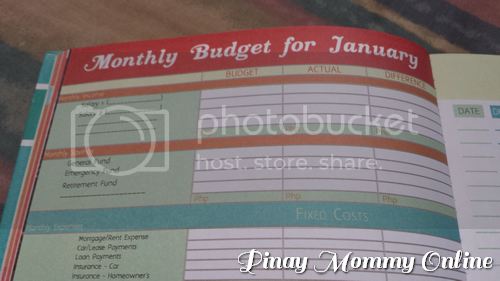 Then there are pages for tracking your monthly finances as well. 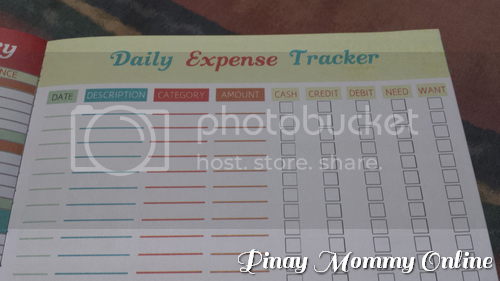 It tackles your monthly budget and daily expenses. And of course, to encourage us, they featured Certified Positive People each month. 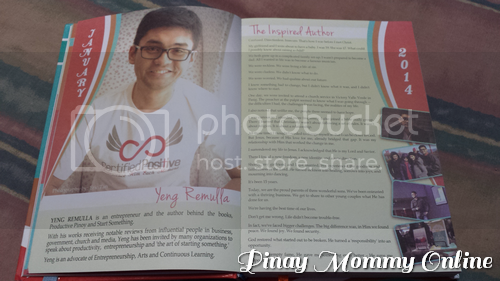 For January 2014, they featured my favorite local author, Mr. Yeng Remulla. He authored Productive Pinoy and Start Something. Then of course, there is the weekly pages wherein you can plot your weekly activities. And at the bottom of each weekly page , you will find a suggestive positive act at the bottom to remind us to be constantly positive. 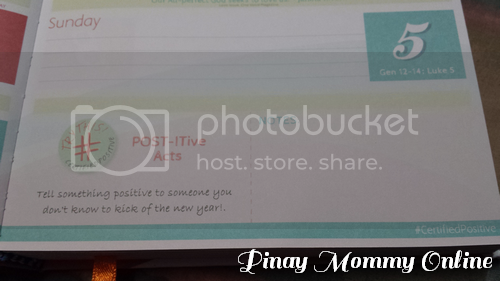 In conclusion, the planner is full of positivism and is indeed life-changing. Aside from that, I really like it as it take our spirituality into consideration. Most planners I have seen and used the years before are more directed to my personal goals be in school, work, education and/or businesses. It was set to help me organize my life in all aspects except the spiritual side . 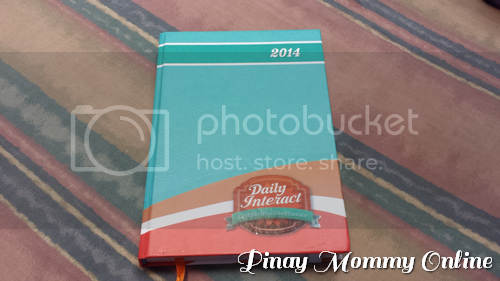 With this, I felt that Certified Positive 2014 Planner really brought everything in my life into a clear perspective. It covers the whole aspect of life. Of course, this planner is only a TOOL. Your spiritual walk with God and how you organize your life is still dependent on you. 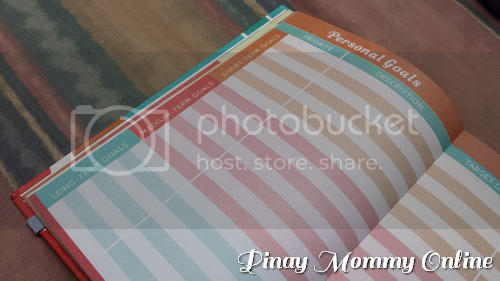 This planner is just here to help us remember our goals in life and organize the moments on how to achieve them. What will happen this year is still in your hands, your decision and your own free will. 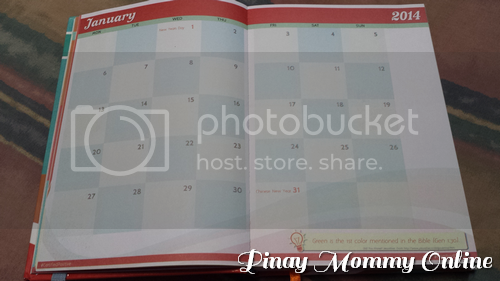 I’m so glad to find your website and I love your 2014 planner!